Food is expensive. It’s also very easy to make impulse purchases at the grocery store that may send your budget in a tailspin. In fact, grocery stores are set up to tempt you to spend money. Candy bars, quick snacks, and gum are located at the checkout counter while and necessities like milk or eggs are located in the opposite end of the store. Sneaky, right? Lucky for you, we can give you some tips to save on your grocery bill and can offer you short term loans if you have a big grocery bill. Eat a meal first or grab an apple or granola bar before your shopping trip. Studies show that if you’re grocery shopping on an empty stomach tend to spend more money on groceries. 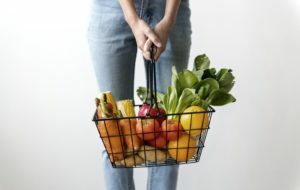 Know what you need to purchase before you even step foot inside the grocery store and try not to leave with anything extra. Sure we may have forgotten that we need bath tissue or garbage bags but remember, if it isn’t a necessity and it’s not on your list, don’t buy it. Not only will this tip help you save money, but also help you eat healthier. Do you really need that bag of potato chips? Do you really need that frozen pizza? Things you don’t really need also tend to be things that aren’t’ too healthy anyway. Kill two birds with one stone by knowing the difference between what you need to make your meals and versus what’s just an impulse buy and isn’t healthy for you. Grocery shopping is so much easier and cheaper when you’re cooking meals for yourself from scratch. Try looking up some of the recipes for your favorite boxed, takeout, or frozen meals. What you’ll find is that making it on your own is not only fun but also cheaper and more efficient in the long run (Hello, leftovers!). Before you shop, take a look at the grocery store flyer – are any of the items you need on sale? Consider purchasing items you can freeze while they are on sale to save in the future. Keep a permanent marker in your kitchen to add the date so that nothing goes bad. Canned and frozen food gets a bad reputation, but in all actuality, it’s still healthy and can help you save big on your grocery bill. Things like frozen fruits and vegetables are great to keep on hand for healthy side dishes and quick desserts. Keep your pantry stocked with things like canned beans, soups, and vegetables to make quick casseroles for the whole family. This doesn’t mean to buy something just because you have a coupon. But take some time to clip coupons based on your grocery list (see, having a list is super important!) and you may be surprised at how much you can save. Enroll in your local grocery store’s reward program. Some programs give you discounts right at the register and some send you an email with special savings coupons to use on your next trip. If you aren’t sure if your grocery store offers a program, ask their customer service department at your next visit. There are so many ways you can reduce your grocery bill but it all starts with planning ahead. Use these tips before your next trip and see the difference! Or contact us today and see if a personal loan is the right choice for you!